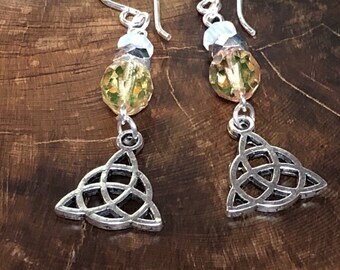 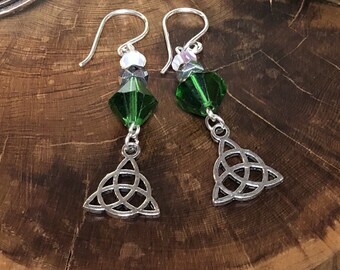 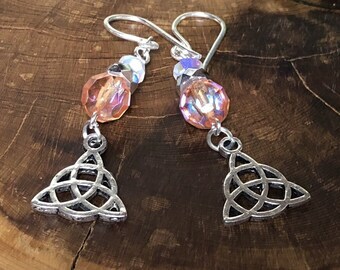 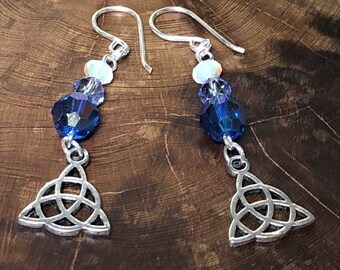 Celtic triquetra earrings are a perfect addition to any wardrobe. 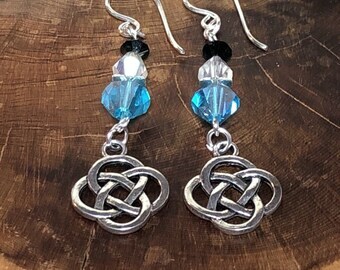 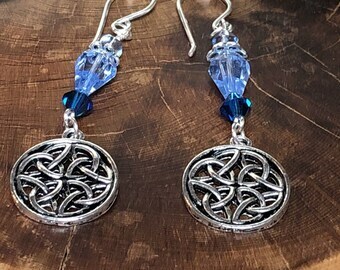 These earrings feature detailed Celtic knot charms. 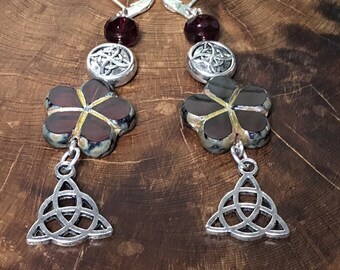 The other beads are in an array of purples and complimentary colors. 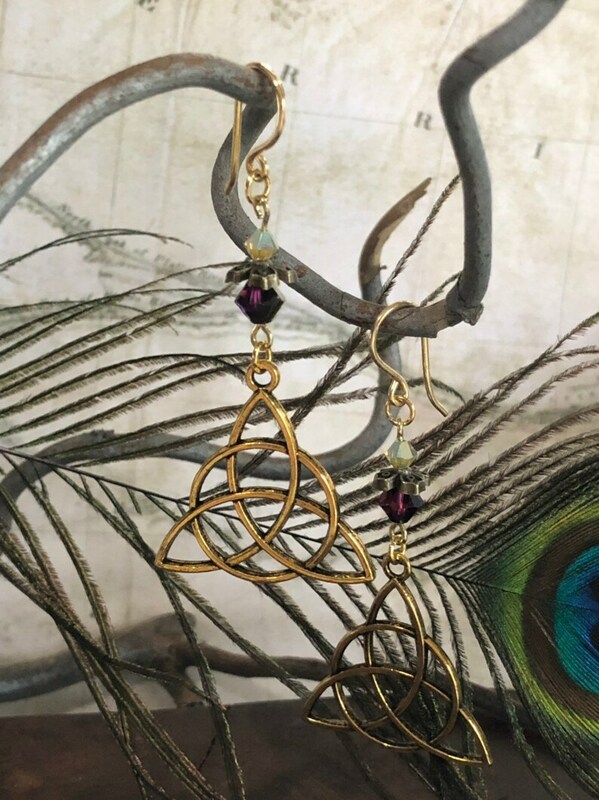 We used genuine Swarovski crystals, brass toned accents and 24KT fish back hooks in creating this design. 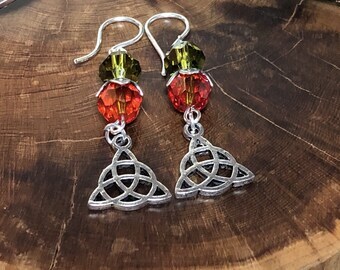 These are limited edition and will not be offered in our shop again. 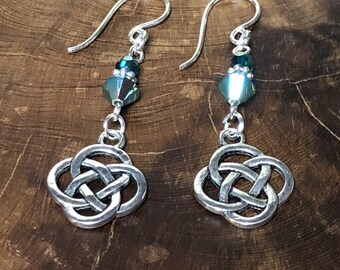 Get them now while you still can!